Part 4 (this podcast): A look at longevity trends and its implications. 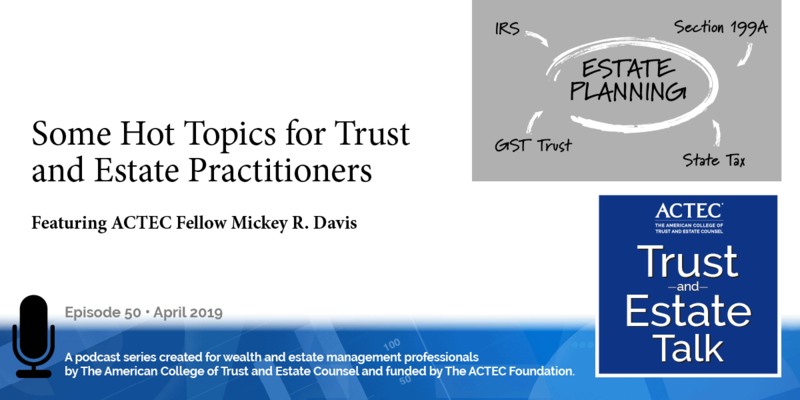 Welcome to our final section of “Estate Planning and Trust Management for a Brave New World: It’s All in the Family, What’s A Family?” This podcast is a special edition of ACTEC Trust and Estate Talk. This is Susan Snyder, ACTEC Fellow from Chicago. Today’s podcast is the final episode in the lecture series by ACTEC Fellow Hugh Magill, also from Chicago. Hugh presented the Trachtman Lecture in front of a live audience at ACTEC’s annual meeting in March of 2018. 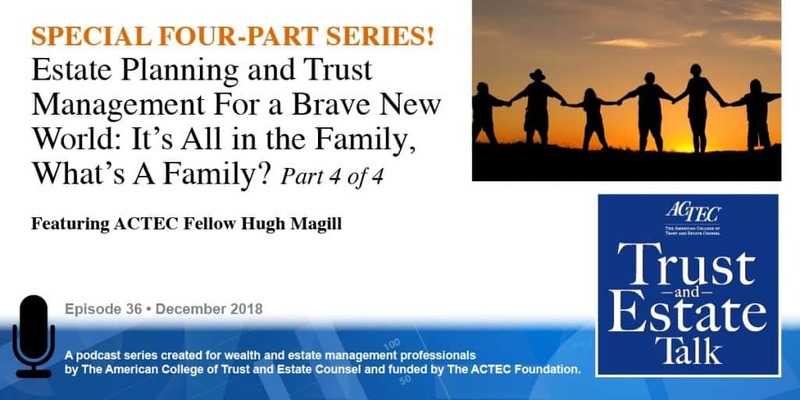 In the previous two podcasts, Hugh discussed how changing demographics and multiple generations impact our new world of estate planning and trust management and the need for trusts to evolve to serve these new family dynamics. Today Hugh will look at longevity and its implications to trusts and estates. This more complex fiduciary landscape arches over what seems to be an inexorable trend increasing life expectancies of both grantors and their beneficiaries. Recall this prior chart on life expectancy; the trend clearly upward poses several extraordinary challenges. The first, how and by whom will our elderly be cared for. Throughout history, elders have been cared for in family intragenerational systems. The challenge is that globally there are not enough younger family members who are going to be around to either provide that care directly or subsidize it through transfer payments to government systems which finance the costs of elder care. What we see here are the ratios, rates of younger children and older people. The top line, the red line is that of those who are beneath the age of five, the green line bottom 65 and older. This phenomenon is the result of very low levels of reproduction in Western Europe and Japan, and especially China with its disastrous one-child policy. It has led to, in China, to a phenomenon noticed in inverted family tree – four grandparents, two parents and one child. The phenomenon is so severe the Chinese parents are now allowed to take legal action against children if they fail to maintain contact or send write a check. The need for that care will be exacerbated by a rising incidence of dementia which sadly accompanies longer lifespan, and we hear projections about the rates of dementia on the top, low and middle-income countries; in the bottom, high income countries. An intriguing aspect of this phenomenon of elder care is the difference in perspectives around the world about who should be responsible for the elderly and what you see here is a list of countries and expressions of preference, and they are indicating that the elderly themselves should be responsible, that’s the yellow bar; their families, the grayish bar or the government, the bluish bar. In Pakistan, for example, 77% of respondents to surveys believe that elder care is a family responsibility. In South Korea, on the other hand, 53% say elders should take care of themselves. Russia, 63% expect the government to fulfill this responsibility. In the United States, 46% say the elders themselves are responsible for their own wellbeing, 28% say families and 24% say government. We are fortunate in the United States, there are reproduction represented here in the red line by the total fertility ratio in the United States while significantly lower at its peak in the late 1950s when it grew over the rate of 3.5 per woman is holding close to the replacement level. Only in the last couple of years, there is a dip below 2 to about 1.8, 1.9 per woman. It’s important to note though that this favorable reproduction data, these rates in the United States are driven significantly by two phenomenon, immigration and immigrant reproduction. At current rates, 88% of United States population growth through 2065 will be driven by immigration and immigrant reproduction. Another way to look at this phenomenon of the relationship of elderly to other members of society is through the lenses of so-called dependency ratios that showed the balance of older individuals to younger and middle-aged adults, and the other hand, the balance of children to younger and middle-aged adults. What we see here on the left side, this is so-called old age dependency ratio. Back in the 1950s, it was 12.8%. Again the ratio of younger people to elderly, it dramatically increases projected in 2050 going up to 35.5. In the middle because of lower levels of reproduction, the child dependency rate is decreasing. And when the two of them are combined, we see total dependency statistics projected out through 2050 in the United States but there is another solution. Technology entrepreneur and artificial intelligence researcher, Martine Rothblatt says, “Grandma and Grandpa need and deserve an attentive caring, interesting person with whom to interact. The only such person who can be summoned into existence to meet this demand are manufactured software persons with robotic bodies, empathetic, autonomous robots with a physicality that mimics a flesh and blood person”. I don’t welcome a notion of being cared for by a robot. There are some difficult implications out of this for boomers and their children. First, the economic and employment challenges of the last 10 years have brought many millennials back to the nest. Millennials though will have more than ample opportunity to return the favor as their parents retire and rely upon social security and Medicare, cost of which will increasingly be borne by the younger generation. Third, due to increasing lifespans and inadequate retirement savings, boomers will be living out that old bumper sticker that says I am spending my children’s inheritance. And fourth, owing to widespread conversion of defined benefit pension plans to defined contribution plans, millennials will have to fund their own retirement. If they are fortunate to inherit something from their parents, from mom and dad, there is a decent chance that a good portion of it will be income in respect of a decedent. Before millennials receive these inheritances though, they will have to see their parents though the difficulties near the end of their lives. We know that there’s too often inconsistency between what the elderly wish in those last chapters of life and what actually transpires. We also know about the importance of advanced directives and the critical role that they play in reducing that inconsistency. As lawyers, we see the conflict that arises from families who go through these decisions. There is little research on that kind of intrapersonal and intrafamily conflict but what there is suggest families drawn together around these difficult decisions about circumstances at the end of life and elder care, 40% to 70% of these families will be drawn into sustained interpersonal conflict. Why is this? Well, the first reason, I think, is probably obvious. There is often a lack of discussion about these issues in families. These are very difficult issues to raise and discuss, and it’s compounded by the increasing complexity of our families today. We have raised children to be independent, they have left the nest, they have migrated to different states. They have married others who then joined the family. They may leave the faith tradition or join another faith tradition, and these issues bring them crashing back together to discuss and to decide these very weighty issues and too often without instruction and without discussion. Aha, but this is a dreary topic. There is a little good news for everyone in this room. Here we see the correlation between education level and cognition. So for all of us lawyers and all who hold advanced degrees, the good news is that the more education you have, the less cognitive decline you will experience throughout all stages of life, hallelujah, and there is even a little even better news from a National Institutes of Health survey. This is amazing. “Mild drinking as well as being overweight or obese confer significant protection against dementia.” So at tonight’s farewell dinner, let’s raise a glass to that curious finding. Well, we have been exploring difficult topics, need to lighten it up just a little bit. So let’s talk about mortality. According to the Psalmist, “the length of our days is threescore years” or perhaps, “threescore years and ten” or perhaps, “fourscore”. The person known to have lived the longest in recent history was a supercentenarian named Jeanne Calment. She died in France in 1997 at the age of 122. But fascinatingly, there is a group of Americans who are not interested in mortality or shall I say they are interested in overcoming it. Let me group them into four categories. I call them evangelists, optimists, pessimists and realists. Who are they? The evangelists are the so-called transhumanists, the optimists are the immortalists, the pessimists see the need for cryopreservation and the realists are biologists and medical doctors. Let me turn though to the immoralists. They are a different breed, highly intelligent. They have deep convictions, and they have extraordinary wealth. First, a couple of observations. Martine Rothblatt again, the Founder of Sirius XM, CEO and Chairwoman of United Therapeutics says, ‘clearly, it is possible through technology to make death optional.’ Arram Sabeti, a technology guru out in Silicon Valley, ‘the proposition that we can live forever is obvious, doesn’t violate the laws of physics. So we will achieve it.’ And last, Dave Asprey, the CEO of Bulletproof, ‘I decided I was just not going to die.’ So what are the potential outcomes? One group believes that we will overcome mortality, biological mortality through DNA manipulation. DNA and mortality are just a coding problem, and once we’ve learned how to recode DNA, we will solve biological mortality. Another believes that humans will merge with artificial intelligence and transcend biological limitations. So, what are some of the organizations behind this? Number one, the National Academy of Medicine, which has something called the Grand Challenge in Healthy Longevity intended to award a $25 million prize for breakthroughs in longevity research. Another, the SENS Research Foundation. SENS is an acronym for Strategies for Engineered Negligible Senescence. Unity Biotechnology which is doing research on Senescence, recently raised $116 million in capital for investors including Jeff Bezos and Peter Thiel. And last Google which launched its subsidiary, Calico in 2013 with $1 billion in funding. It’s very secretive but it’s believed to be performing research on the biomarkers of aging. Well, let’s turn to the cryopreservation, we need some pessimism. The pessimists believe that they may run out of time before solution to mortality is achieved and, of course, they will then have themselves cryopreserved. There are four organizations which provides these services worldwide. Two of them, perhaps three are based in the United States. The Alcor Life Extension Foundation and the Cryonics Institute. Some countries such as France prohibit cryopreservation, so some people have their bodies shipped outside the country in order to find the right mix of liquid nitrogen. Here are two of them. They are both 501(c)(3) founded in 1970s, each of them has about a 150 patients in cryopreservation. And thinking about cryopreservation, if you choose to have this done, you’re going to want to ensure that number one, you stay that way and number two, when you come back, you’ve some spending money. So we are seeing a rather steady stream of proposed cryopreservation trust and let me walk you through some language in these trust agreements. This is drawn directly from these trusts and only slightly modified to protect confidentiality. Generally the purposes are to provide funding for cryopreservation and storage of so-called digital mind images. Another words, an image of one’s mind which supposedly at some point in the future will be able to be downloaded into a bionic person who will then have the mind of that predecessor. So one of these says that “during cryopreservation, the grantor will no longer be living but the grantor will nevertheless not be dead”. On the distribution side, one of these trust would permit distributions to the grantors Bionic Analog Version or BAV, and he contemplates that “if multiple BAVs of himself are restored, each is entitled to discretionary distributions, and each may live rent free in any trust property”. I think back, gee, how many BAVs can you have living together? I hope they were not managing spray trusts for those multiple BAVs. Last, on termination. 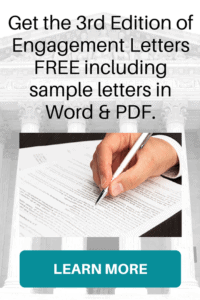 These trusts are designed to terminate when the grantor is revived, and for one of these, the grantor says that the grantor may be revived “in this world or another world”. We have offices around the world but we haven’t yet contemplated placing one on another planet. And here from this one, “upon revival, the grantor will be considered to be a different legal person”. This grantor better hope that it’s not more than 37.5 years after his initial demise or else he will become his own grandpa. The last point on these trusts are property law or trust law or tax law or insurance law are all designed for living or the dead but not the in-between. Let’s come back to reality. Biologists, medical doctors who do not share the view of immoralists. They are best hope for this work and for our species as they say it’s not to extend lifespans but to lengthen our years of healthy living, so-called improving health spans. Now why have I taken us on this detour? Well, first, we needed a little break from all that dreariness. 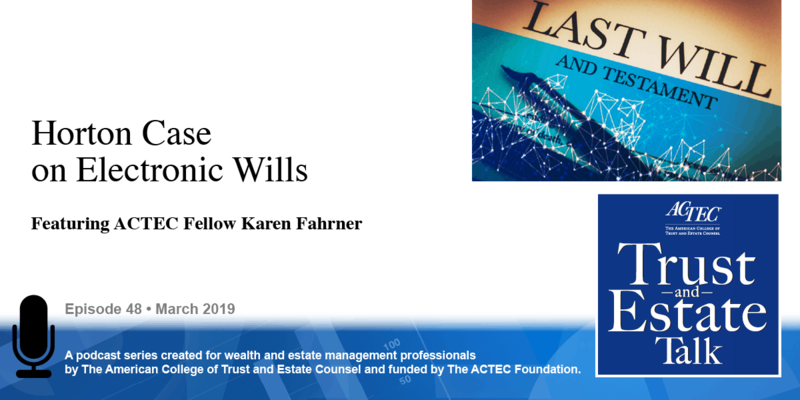 But I think and I would suggest to you that estate planning are fundamental craft rests upon the biological fact of mortality and that fact in turn is grounded upon religious and theological tenets of every major world religion. We die because of some moral failure and back in those charts, way back in those charts in each of the generations, one of those statistics was the rate of religious disaffiliation increasing across the generations to the point today for millennials it’s probably in the 35% to 40% range. And I have the concern that not too far in the future, there will be a group of potential clients who see no need for estate planning because they believe that they will live forever. Of course, until then, there are apps to keep you going digitally after you’re gone and here are just a couple, Twitter, LivesOn and something called DeadSocial. Those are not on my iPhone. So I turn to the last section of this presentation. Given the extraordinary changes in the structure of families and the attributes of the individuals who inhabit these structures, how will today’s families come together to make decisions that every family must make? Some of these decisions are really easy and enjoyable. The ones on the left side about birthdays and vacations plans, “are we are going to go to Cabo or Cannes this year?” but some in the middle are more challenging relating to the management of foundations, shared assets, family businesses, who gets to use the cottage over July 4th, “How much should we allocate to impact investing?” “Do we fire junior because he’s violated our employment policy for the fifth time?” And others, the ones on the right are the most difficult ones we will face in our lives, “should we maintain mother’s life support?” These decisions on the far right side have always been and always will be difficult but for many in prior generations, they were made paternalistically. Today though, the oldest generation must overcome the culture and habits of paternalism and maternalism if they want Gen Xers and millennials to be engaged. And to do so, families must move from the left side of this chart to the right side. And as counsels, fiduciary and advisors, we are frequently called upon to help them bridge this gap. The dialogue surrounding family wealth today is changing. In the older generations, there was often no discussion about family wealth but there were expectations and there were reactions. Boomers though are posing thought-provoking questions about wealth. What meaning will we derive from our wealth? How will our children oversee family enterprises and manage them? When and how should we discuss wealth with our children and educate them about its responsibilities? And in this question, we had a fascinating exchange. Several years ago, 8–10 years ago at the Northwestern University Family Enterprise Institute, we welcomed 100 closely-held business owning families to a two-day symposium on a number of issues that affect family businesses, succession, best practices, etc. But an ACTEC fellow and I had a panel presentation where we wanted to explore the qualitative aspects of these families and the role that financial wealth played in the families. Northwest University had at that time, this fabulous technology that gave every person a transponder where they could program in their generation, they could respond to questions. Two of the questions we posed to the older generations, so they would have been traditionalists, and the responses to those two questions have always stuck with me. The first question we asked them was at what age do you believe children should inherit the vast book of their financial wealth? We gave them the ages of 18, 21, 25, 30 and 35. They began to vote, the results came up on the screen, and we were stunned that 53% of them said age 21, 53% traditional entrepreneur said age 21, puzzling, until we reflected and thought, perhaps this has the view of an entrepreneur because what is an inheritance, it’s the transfer of entrepreneurial capital. Ten minutes later, we posed a related question that we wanted to separate from the first and that question was, at what age should families begin to discuss inheritance with their children? We gave them the same age as 18, 21, etcetera, up to 35. They began to vote, and this time 56% said age 25. So give it first and talk about it later. Boomers though are interested in these conversations, and they are facing support responsibilities and they covet advice on how to provide for elderly parents, dependent children often at the same time. And in one of the most poignant issues we must address, the ongoing care for disabled adult siblings. I would suggest that two generations ago, an American born disabled would not have a normal life expectancy. One generation ago, that individual may have lived longer but usually lived in an institutionalized setting but today these individuals have lived lives of relative independence under the watchful care of their parents and as those parents age, how will they resolve the issue of who will provide a continuing care. 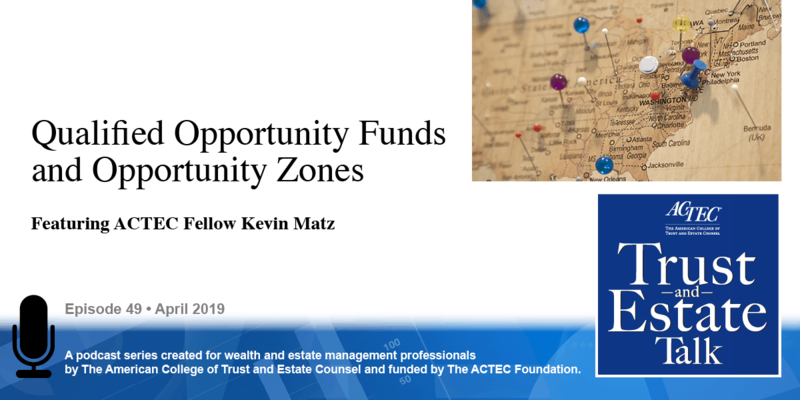 Those in modern family structures also need more counsel on how to allocate their financial wealth to and among a more diverse group of beneficiaries. As Charlie Collier author of Wealth in Families has recognized these issues and the family relationships they impact represent the greatest challenge for our families today. Charlie was the Senior Development Officer at Harvard University, a must sought after family advisor and led for a number of years with Kathy Wiseman a wonderful postgraduate training program at Georgetown University at the Bowen Center for Family Systems, its author, but sadly today sidelined by early onset of Alzheimer’s disease. Charlie is the individual whose concept of wealth suggested that we needed to enlarge our definitions to grow larger than the balance sheet, and indeed when we discuss wealth, we usually think of only financial wealth but in Charlie’s view, families have four forms of wealth. The so-called personal wealth or human capital, family members gifts and attributes, the professional wealth, how do family members learn, relate to each other and achieve on the bottom right, social capital or public wealth, how do families relate to their community through volunteerism, philanthropy, political involvement and last financial capital the so-called pockets of wealth, how will financial wealth enhance and grow the other forms of family wealth? Well, each family’s wealth is grounded in a unique set of values and aspirations. These find expression in various individuals, shared activities and practices and to the extent that families work together and share responsibility for those aspects of their wealth, that upper left quadrant becomes increasingly important. So how can contemporary families lay the best foundation for their work together? I would offer a five-factor approach. First, what’s at stake, what kind of matter is that issue? Second, who are the members of our family? Third, who gets to be at the table? And fourth, what structures, if any in some cases, surround our decision making on particular issues? And fifth, where does the buck stop? He said ‘I want to send you a little something to read’ and a day later what appeared in my inbox was a substantial PowerPoint presentation. Moses had been to the mountain. He had received the revelation about wealth in his family, and so there was a 24-page deck that was full of his observations about capitalism and independence and all these things. And I thought to myself ‘I don’t think the family had much to do with putting those 10 commandments together,’ but they talked about their concerns in sharing this information with their family. How would they do so, where would they have this conversation, this Bible conversation and he said, ‘should we have it in your office or should we have it in our lawyers’ office?’ And I asked a simple question. I said ‘where do you have the most important conversations in your family?’ and he immediately said, ‘we have them at our dining room table’ and I said, ‘that’s where you have this conversation.’ They indeed went on to have that conversation, and it’s led to, I think, a lot more functionality around the disposition of their wealth but what I drew from that was this idea, this metaphor of the table at which these conversations occur. On the left-hand side, the study is the place where dad in prior generations made his decisions. Mom and dad may have made them at the kitchen table, the entire family may have gathered around the dining room table and over to the right is family issues and affairs become more complex, we move to the conference table and indeed the board room. As the family grows in size, an intergenerational participation as governance and decisions and decision making structures become more formal. These must ensure alignment with family goals, fairness, conflict minimization goals we all understand, but we mustn’t forget though that many of the most personal issues that will be addressed draw us back to the dining room and the kitchen table. So the discussions and dialogue around these issues is family wealth in action, and I want to close with a story. I was fortunate to work with Charlie Collier 8 or 10 years ago with a family in the midst of selling a closely held business and the father was wise to recognize that the sale of their business would be a seminal event within his family and their own wellbeing, and he asked the family to gather together around the holidays, so that they could have a conversation about the impact of moving from a closely held business family to a family with liquidity and marketable assets. And Charlie Collier and I worked together with this family, and we met with them around their dining room table on the first evening we got acquainted and laid the foundation for what occurred the next day. And what occurred the next day has had a profound impact upon me. Charlie and I sat with this family in a conference room, a U-shaped table. As the mother and father, nicknamed the lion and the lioness by their four children, gathered around this table, and we simply turned to the father first and we asked him ‘tell us a little bit about your family?’ And he began slowly at first and mindful of the fact this is a family in the middle of selling a business, the father, a son-in-law who is the chief financial officer of the company had their laptops at the meeting because they were in the middle of the deal but what they were discussing at this meeting was just as important. And the father began again slowly to talk about his family as he moved up the family tree, and I realized this that he was sharing the story of his family that the pencils have gone down, people were leaning in, and they were hearing important things. What was happening in that room, what was happening psychologically is they were exploring their family system, and they were using an age-old technique as aged as our race, the telling of stories, to understand who they are and how is it that their financial wealth will inform the wellbeing of their family for generations to come. So while the composition of the families we served today is undergoing dramatic change, whatever the composition each family is, of course, a group of individuals. Individual human beings drawn together by love and by financial wealth addressing the issues we all face during our mortality. as do so, each of our clients, with each of them, we stand at the intersection of our heritage, in other words, our distinctive place among the generations of our family, and our legacy, our yearning that there might be something permanent from our labors. As counsel, as fiduciaries, we stand beside them, and we guide them at this intersection of heritage and legacy. It is what some would call a liminal space, a threshold, and what a privilege it is and an honor as Fellows of this College to accompany and guide these families at this intersection. Thank you. This concludes our ACTEC Trust and Estate Talk Special. Thank you, Hugh for offering your insight and enlightening us to the changing landscape of our profession. This presentation is also available in its entirety as a video with the presentation slides at actec.org.